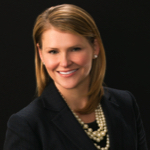 Shannon Eagan represents corporations in complex disputes and litigation, Securities and Exchange Commission investigations and internal corporate investigations. She also served on the trial team for Kent Roberts, McAfee’s former general counsel who was the first defendant to obtain an acquittal in a stock-options backdating prosecution. Shannon has handled a wide variety of other complex litigation matters, including securities litigation, high-stakes licensing disputes, commercial contract litigation, corporate governance disputes, merger litigation, employment-related litigation, healthcare, environmental and other general commercial disputes. Her clients have included companies in the life sciences, hardware, software, semiconductor, food and public utility industries. Rigel Pharmaceuticals, in securities litigation lawsuit resulting in a major victory for the client and an important decision by the 9th US Circuit Court of Appeals with significant implications for all publicly traded life sciences companies. Annie’s Homegrown, in connection with securities litigation lawsuit and merger-related litigation. Several life science companies, in connection with licensing disputes and claims against contract research organizations. Several companies and individuals, in connection with internal and SEC investigations into their accounting practices, the Foreign Corrupt Practices Act and internal controls. Public companies and their boards, in litigation brought by shareholders challenging a merger and alleging breaches of fiduciary duty. Private company’s special committee, in connection with internal investigation into fraud by CEO. Shannon was a member of the Stanford Law Review and served as a law clerk for the Honorable Sarah Vance of the US District Court for the Eastern District of Louisiana from 2000 to 2001. Shannon has repeatedly been named a Northern California “Rising Star” by San Francisco Magazine and received Silicon Valley’s YWCA Tribute to Women Award.